How would you feel about a remake? The fans pick: This movie should never be remade! Jim & Judy: better as friends or as a couple? Which film do you think James Dean gave his best performance in ? I have an east of eden club do you want to join? It was a hot afternoon in late summer. The sky was clear and everything was pleasant. Jim Stark was feeling strangely good today because there was no school and he got to spend time with his closest friends. Today Jim, Plato, and Judy were at the de praia, praia without the typical stresses of their teenage lives. It was rare when they had a day-off from school and they could just relax and play together. Times like these were valuable and made worthwhile memories. Jim was half-asleep when he heard a light knock on the door. His mother poked her head in and whispered, "Are you sleeping?" "I'll leave you two alone," said Mrs. Stark, smiling at the young couple. Then she closed the door and went downstairs. Jim Stark lay in his cama with the blankets wrapped around his shivering body. It was a school dia but he was kept início today because of his fever. His bedroom was dark and he had nothing to do except listen to the rain and thunder outside. Sitting up weakly, Jim picked up his cup of water and took a sip. He had to drink lots of liquids since he couldn't keep anything else down. No posts have been made to the Rebel Without a Cause wall. a poll foi adicionado: Which rebel was the cutest baby? 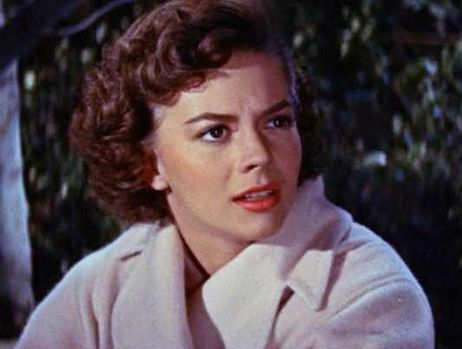 What's the name of Natalie Wood's character in the film?